Fired 288 15" shells. 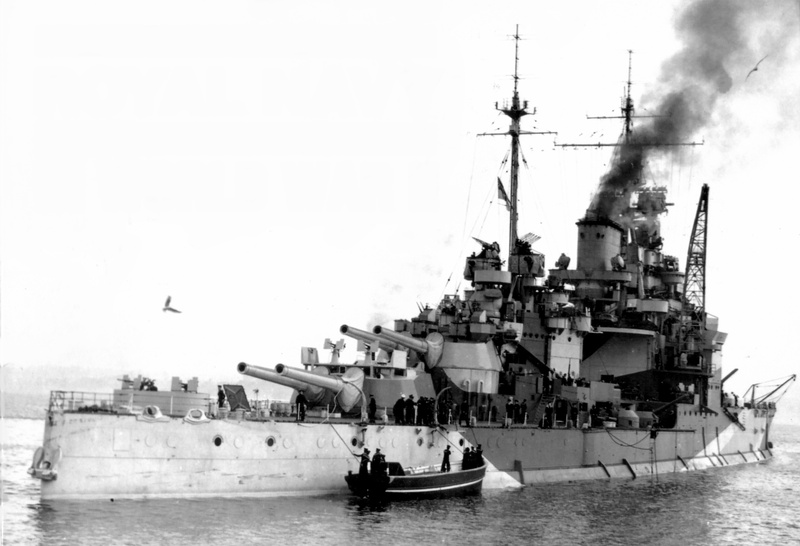 Unlike Warspite and Barham, she suffered no damage. Brown Curtis steam turbines using 18 Babkcoxk and Wilcox boilers producing 71,112 shp (trials). Two 3” (76 mm) AA guns and four QF 3" 20 cwt AA guns.